Hills are my nemesis, both on the bike and on foot. I think it comes from learning to run (if that’s a phrase) in flatter-than-a-pancake Norfolk! 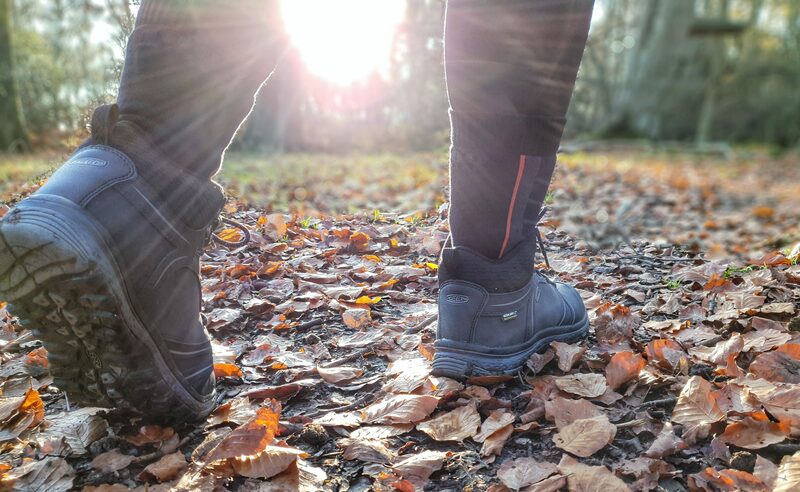 And even now, when I head out for a run I opt to follow trails along the river rather than routes which might challenge me a little more in terms of incline. This tends to be a problem when it comes to races like Run Reigate. 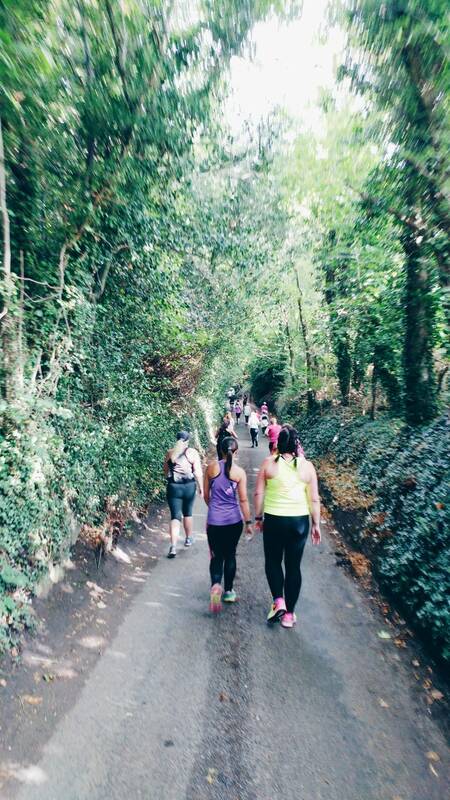 An undulating course throughout with a pretty steep hill at the end! Not that I didn’t enjoy the 10k on Sunday – in fact, it was probably the most fun I’ve had on a run in a while. There’s nothing like the atmosphere of a race to get you going! Reigate is ordinarily quite easy for me to get to – one train straight from East Croydon that takes about half an hour. Unfortunately as luck would have it, this weekend there were planned engineering works which meant a train to Gatwick followed by a rail replacement bus that only ran once every hour. Consequently I had to leave the flat at 7am on a Sunday morning for a 1.5hour journey – the things we do for a bit of bling hey! I ate my peanut butter and banana bagel on the train and amazingly arrived in the race village exactly as planned at 8:30am. 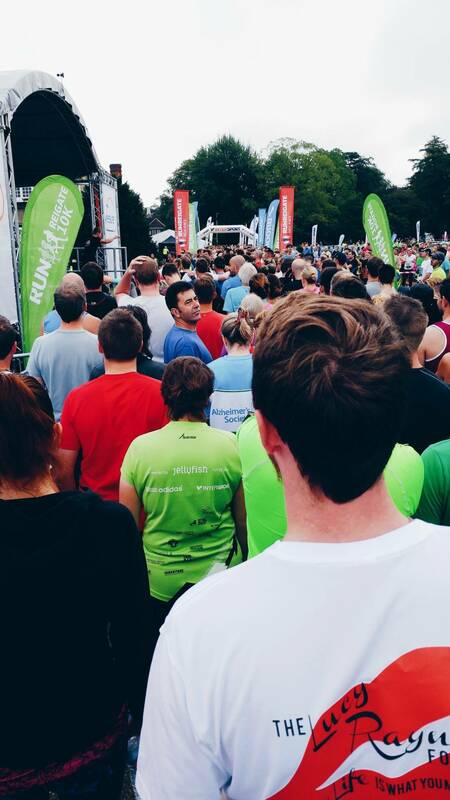 For a small local race, the organisation and planning of Run Reigate was amazing. Their race village was full of food stalls, as well as brands like Brooks Running and Fitness Rewards and they had a live band on stage to see everyone over the start line. There was even a kids activity area complete with climbing wall! I dropped my bag, headed straight to a portaloo (no queue) and was in the green 10k pen by ten to nine, in time for a warm up led by British Military Fitness – and some jumping and down and waving for Dame Kelly Holmes’ social media. As the official race starter she set us off pretty much bang on nine o’clock and I even managed to sneak in a high five as I crossed the line! 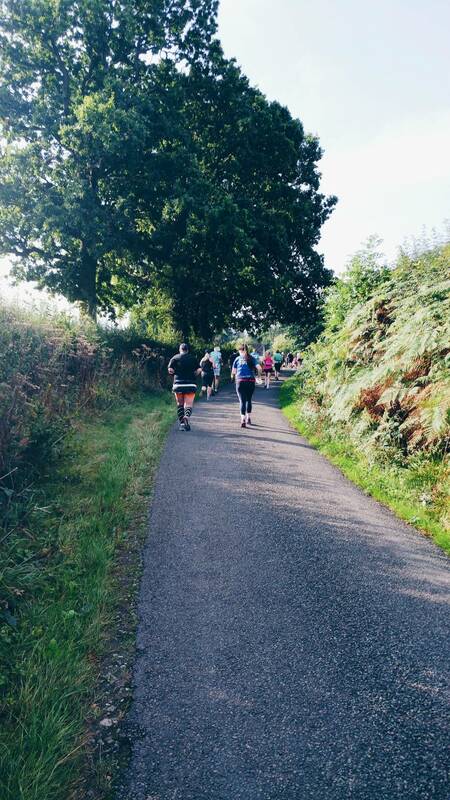 As the runners headed out of Priory Park it was straight into the first hill which climbed steadily for about half a mile – fortunately there was then a lovely section of downhill. I let my legs freewheel and overtook lots of people, trying to make the most of the momentum and the fact that I was feeling good. In fact for the first half of the race I was loving it! Smiling as I watched people high-fiving their friends on the other side of the road when the route turned back on itself. Listening to the live music from Reigate Grammar School students on the course, and soaking up the cheers from the locals who’d come out of their houses to support. From 3.5 – 5.5 miles the route went up, getting progressively steeper until I had to stop and walk. In fact there was quite a lot of walking through this section! My lungs were definitely struggling and even though I put my headphones in to drown out my heaving breathing it gets to the point where you have to pay attention to the wheezing. Fortunately the route was pretty scenic so I could distract myself with admiring my surroundings. And what goes up, must come down! There was even a sign marked “caution, steep descent” as we headed back towards the finish line. I knew that a PB wasn’t on the cards but I still wanted to give the race my best effort. The last few 100m of the course wound through the park and before long I was passing in front of the stage with the live band, and over the line. I was handed a medal and banana, and my phone buzzed pretty instantly with my official time – 1:11:52. Not exactly speedy, but considering the hills and my lack of running recently I am more than happy with that! 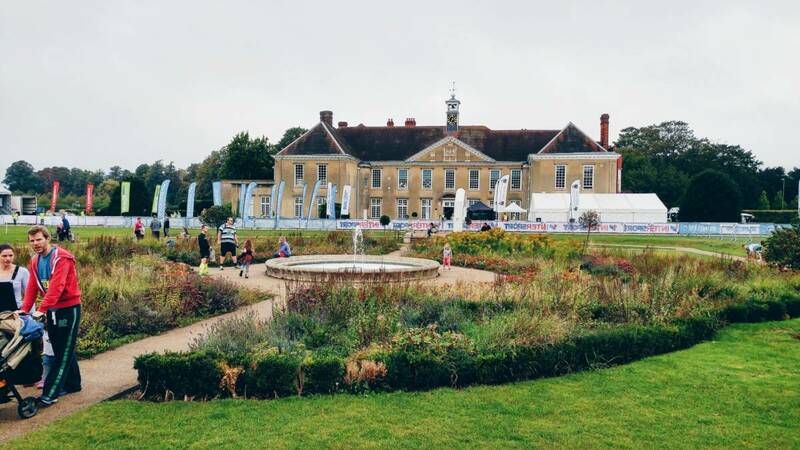 The Grade 1 listed building of Reigate Priory provided a rather lovely backdrop for my post-race medal photo too, even if someone had managed to put bubble bath in the fountain! How do you fare with hills? Did you race this weekend? 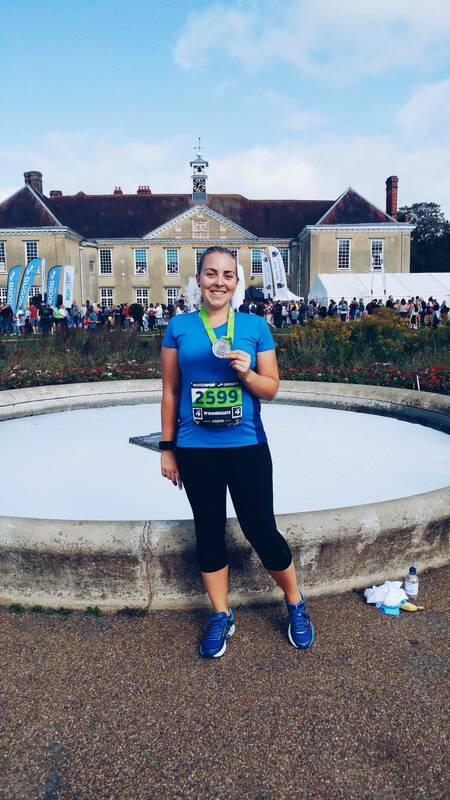 NB: I was given a complimentary race entry and some fab Brooks Running kit, and a Fitbit Surge to train with, in exchange for a series of blog posts. As always my opinions are my own. Awesome job! It sounds like a great race and course! I love race routes that are scenic, it makes the whole thing go so much faster! It sounds good- a scenic route is always so much nicer than flat roads I think. Around where I live there are a few hills and my club does an 8 mile route with a few big hills once a month, but pretty much anywhere we run has hills.